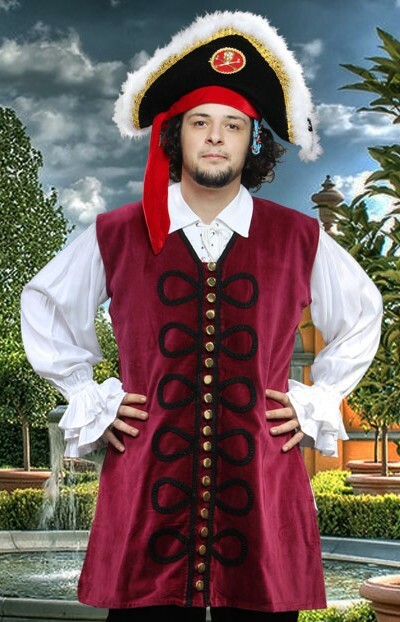 Wear this Blackbeard vest, in rich burgundy velvet with black braid frogs and gold-tone buttons down the front, with a pirate shirt or our Blackbeard Captain's Coat -- in sizes to XXL! Shirt and hat not included. 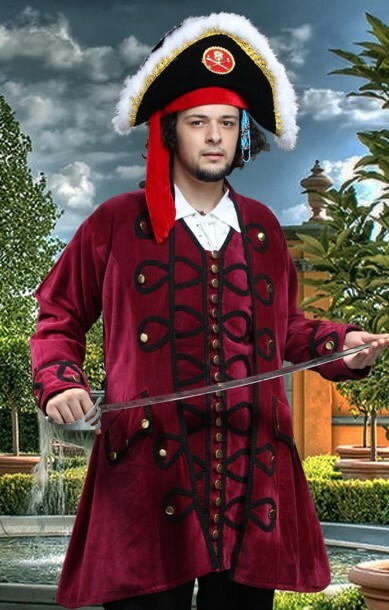 This matching Blackbeard Captain's coat makes a great companion piece for the vest!